Alok graduated from McMaster University with a degree in Honors Kinesiology. Throughout his studies he worked at McMaster University’s sports medicine clinic where he gained valuable experience in treating various types of musculoskeletal conditions and injuries. His studies were focused on courses such as functional anatomy, biomechanics, and human physiology. This is where he gained a fascination with the human body and musculoskeletal system. Alok’s interest in Osteopathy developed when he learned of the story of a family friend. Their son was born with clubbed feet, and at the age of 4 was still unable to walk. The mother sought medical advice and was told surgery was the only option. While her son was placed on the waiting list, she decided to take him to see an osteopath. To her astonishment, within 6 months her son was showing marked improvement, and within 2 years was able to walk normally without surgery! Inspired by the outcome of this case and the effectiveness of osteopathic therapy for himself and others, Alok decided to become a manual osteopath. 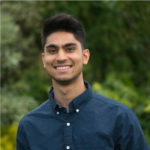 In addition to his manual therapy techniques, Alok strongly believes in educating his clients on how they can help themselves resolve their aches and pain. And always explains his treatment protocol. Alok continues to follow his passion to help others by expanding his education and knowledge with advanced studies.